You'll be £8.99 closer to your next £10.00 credit when you purchase Merseyside at War 1939–45. What's this? Merseyside played a unique role during the Second World War, which directly led to the area being a major enemy target in an attempt to put the port completely out of action. Consequently, Merseyside became the most heavily bombed area outside of the capital. Despite the considerable damage, the campaign failed, and the port continued as a centre of operations for Western Approaches Command, controlling the safe passage of supply convoys into the Mersey, providing an essential lifeline to the success of the war effort. 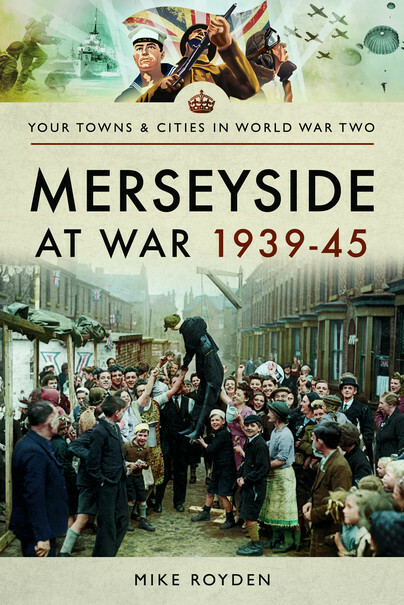 Rare insights into the life of war-torn Merseyside are included, along with untold stories from those who witnessed the events first hand, including the Blitz, the defence of the port, and the grim conditions in one of the largest prisoner of war and internment camps in the country in Huyton. A broad spectrum of life on the Home Front is recounted through memories, newspaper stories and personal memoirs to bear witness to the profound trials of courage and fortitude of ordinary people enduring this desperate struggle to survive the war years. This fraught resilience was not always a united front, and controversial topics are also studied, such as conscientious objectors, racism, strike action, and crime, plus the issue of the Spirit of the Blitz – was it a myth or reality? This book therefore is an attempt to cover the full period of the war on the Home Front, in all its aspects, from the day war was declared, to the wild celebrations on the streets at the cessation of hostilities, plus the immediate post war problems. A fascinating and comprehensive account.